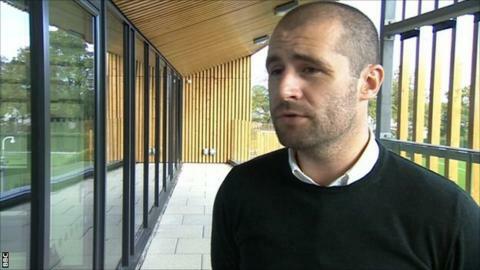 Tottenham have appointed former Southampton talent scout Paul Mitchell as head of recruitment and analysis. Mitchell joined Saints in 2012 after doing the same job at MK Dons following his early retirement because of injury. He was credited with finding Southampton's summer signings Graziano Pelle,Dusan Tadic and Sadio Mane. "Maybe Spurs felt they couldn't buy our football players so they had to bring in other people," Saints manager Ronald Koeman told BBC Radio Solent. "It's a compliment for Southampton, maybe they need the same structure that we have." Tottenham continue to be linked with January transfer window moves for Saints duo Morgan Schneiderlin and Jay Rodriguez, and will hope Mitchell's arrival can prise both away from St Mary's. Spurs, who have spent £135m in the last 18 months, are currently 10th in the Premier League table and trail leaders Chelsea by 15 points, while Saints lie second. "It will effect everybody as it is an important role at the club," added Koeman. "It's a challenge for Paul, he wanted to move and we have to respect that. Southampton is not dependant on one person; Southampton will march on. "For the last few years Southampton has had a good structure. "There is a strong academy, good young players, a technical director in Les Reed who has the club's long-term interests at heart - that is the quality of the club. "It is a good structure and it is a pleasure to work in that."